By default, when you visit someone’s LinkedIn profile (and you’re also logged in on the platform), they’ll be able to see your name, profile picture, LinkedIn headline, location and industry. 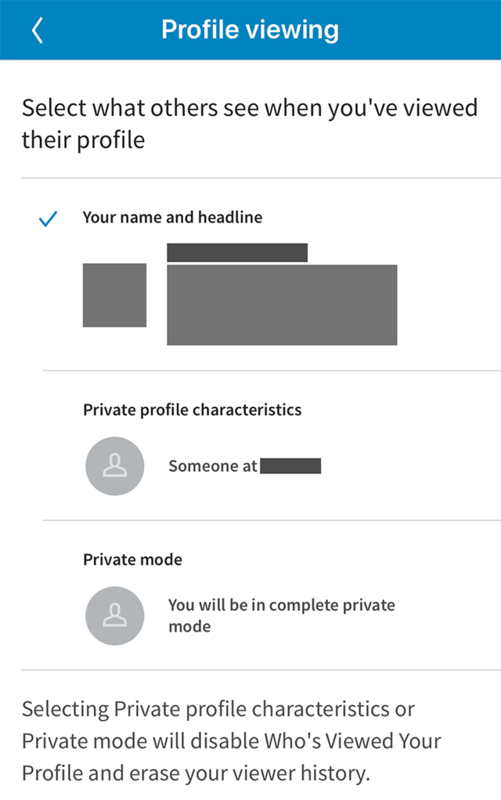 If you don’t want this information to be shared, LinkedIn allows you to browse in private mode, so that users won’t be able to see your information after you view their profile. Our guide will show you how this feature works. 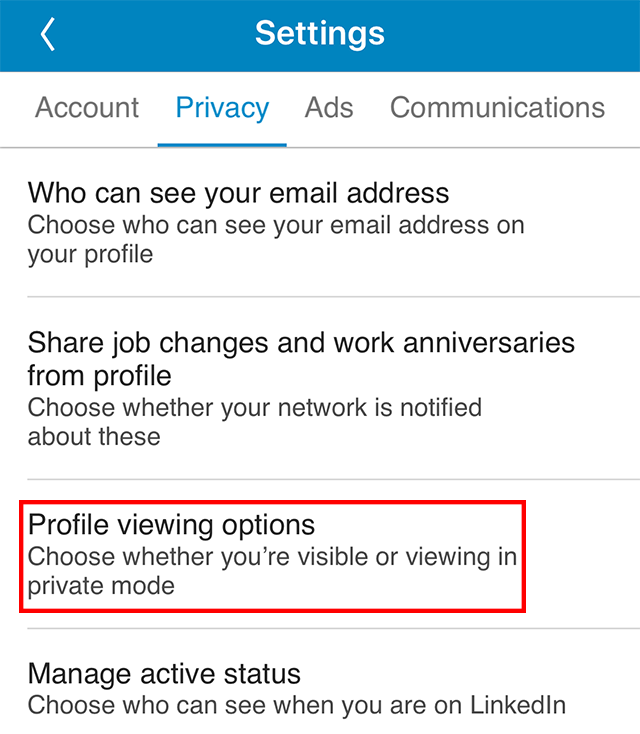 Step 5: Tap “Private profile characteristics” to hide your personal information, so that users will only be able to see the company you work for after you visit their profile. Or, tap “Private mode” to hide all of your information from other users. Note: When you select one of these two options, you will no longer be able to see information about users who visit your own profile, and you’ll also erase your past viewer history.